Sky’s VR Studio has selected Jaunt’s XR Platform to deliver virtual reality content to consumers via the Sky VR app. The move marks the Sky as the first media company to adopt the Jaunt XR Platform – a white label immersive content distribution solution targeted at media companies, brands and content aggregators. Sky first launched its dedicated Sky VR App in October 2016 featuring content produced by the UK operator and its partners, while Jaunt unveiled its XR Platform last month and is demoing it at CES this week. “The viewing habits of our customers are evolving and, the appetite for immersive content is growing day by day,” said Gary Davey, Sky’s managing director of content. “Since launching the Sky VR Studio in 2016, we’ve been at the forefront of VR content creation – fusing together world-leading technology with the best storytelling and ideas. Jaunt International’s general manager, Dominic Collins, said: “Sky is an example of a media company that is already producing fantastic immersive content for their viewers, naturally we wanted to give them the tools to distribute those experiences in a seamless way across their own channels. 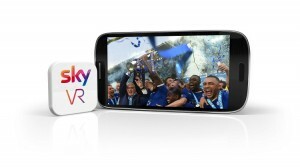 The news comes after Sky struck a deal with Jaunt in October 2016 to launch a ‘Sky World’ section within the Jaunt app to distribute a selection of Sky’s news, sports and cinematic VR content. In return, Sky agreed to showcase four Jaunt VR experiences in its then newly launched Sky VR app. Jaunt produces and distributes immersive virtual reality, augmented reality and mixed reality content via its production house Jaunt Studios and its distribution technology Jaunt XR Platform. The company was founded in 2013 and is headquartered in San Mateo, California.